On March 14, the U.S. 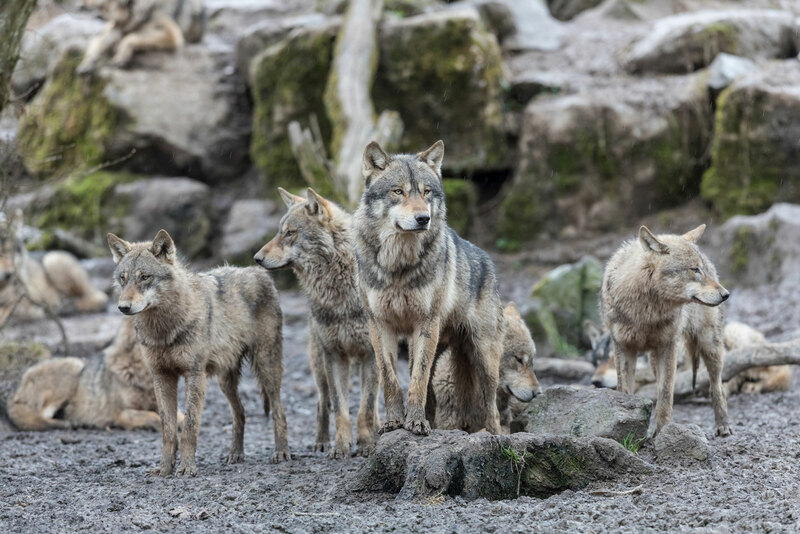 Fish and Wildlife Service (FWS) proposed delisting all gray wolves under the Endangered Species Act (ESA), stating that the species has recovered sufficiently and is stable enough to no longer require ESA protections. FWS cited intergovernmental partnerships, as well as the help of conservation organizations and private landowners, as integral to the species’ recovery and announced the agency’s proposal to return management of gray wolves back to the states and tribes. The public comment period for this proposal opened on March 15 and comments will be accepted through May 14, 2019. If the proposed rule is finalized, the gray wolf would become one of nearly 40 other species that were once almost extinct but have recovered with the protection of ESA. Under the proposal, FWS would continue to monitor the species for five years to help ensure its recovery is sustained and FWS would retain the ability to re-list the species if populations dropped back to dangerous levels. Species are listed under the ESA if they are in danger of extinction or at risk of becoming endangered in the foreseeable future throughout all or a large portion of their current range. The ESA does not require the species to be present throughout their entire former range or for populations to have returned to historic levels in order for the species to be delisted. The gray wolf has already been delisted in the Northern Rocky Mountains after successful recovery efforts by the states of Wyoming, Montana, Idaho, Washington and Oregon, and FWS notes in their proposal that populations in Michigan, Wisconsin and Minnesota are now strong as well. Overall, FWS states that the gray wolf population stands at over 6,000. The proposed delisting does not include the Mexican gray wolf, which would remain listed under ESA. NACo has long called on the federal government to treat counties as cooperating agencies and work closely with states and county governments to decide when and how to list a species, designate critical habitat and plan and manage for species recovery. ESA listings have serious implications for local governments’ land management responsibilities and can significantly impact community economic development. Counties that might be affected by the proposed delisting of the gray wolf may submit public comments to FWS until May 14, 2019. More information on how to submit comments can be found at www.regulations.gov by searching for Docket Number FWS-HQ-ES-2018-0097.